The mission of those serving the Township of Port Sheldon as members of the Ottawa County Sheriff’s Office is to preserve public order, support the constitution of the State of Michigan, and enforce all laws and ordinances of our state, county, and township while protecting the lives, property and rights, of all people in a professional and courteous manner. Law enforcement services are provided to the residents of Port Sheldon Township by the Ottawa County Sheriff's Office. Port Sheldon Township draws many residents and visitors to our community every year. 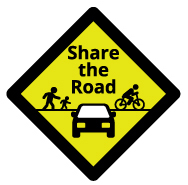 It is important to remember that no matter how you travel, be responsible and share the road. Port Sheldon Township shares a community policing deputy with West Ottawa Public Schools. This partnership brings additional law enforcement services to Port Sheldon Township during our busier summer months. Port Sheldon Township, through its community police officer, provides free vacation security checks to its citizens who will be away from their homes, businesses, or other facilities for a period of time. Deputies will periodically check the exterior of the premises. This service is offered to deter potential burglars and provides additional security while your premise is unoccupied.